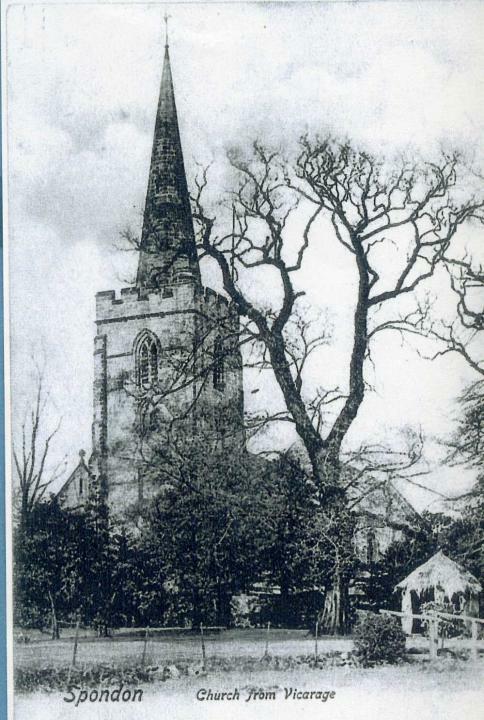 In this section we shall relate the official account of how the Church came to Spondon as told by the Vicar's father, Canon T.G. Barber, in is authoritative work of the same title. When Heinkels came in sight. Than Incend'ries hit the floor. And bolted for the door. Who was shaking with alarm. Of playing with a bomb. As brave as any knight. Don't rely on even Derek. The girls' club disbanded as it was impossible to find a lady to be a (permanent) Leader. Older boys were joining the Armed Forces and most of the girls were in the Girl Guides. The mothers of the boys held Whist Drives to make some money for them to go to camp. Tese were held in the Church Mission Hall, now demolished. When Mr. Barber arrived in Spondon, he brought his aunt Miss Barber with him. He had three married sisters who visited him regularly, and eventually one of them (Mrs. ffinch) came to live in the Vicarage. The clergy of the Deanery met together every six weeks for their Chapter Meeting and took it in turns to host it. They just provided a light breakfast after Holy Communion followed by the meeting. Mr. Barber refused to attend as he felt that his time should be spent in his passage rather than talking. 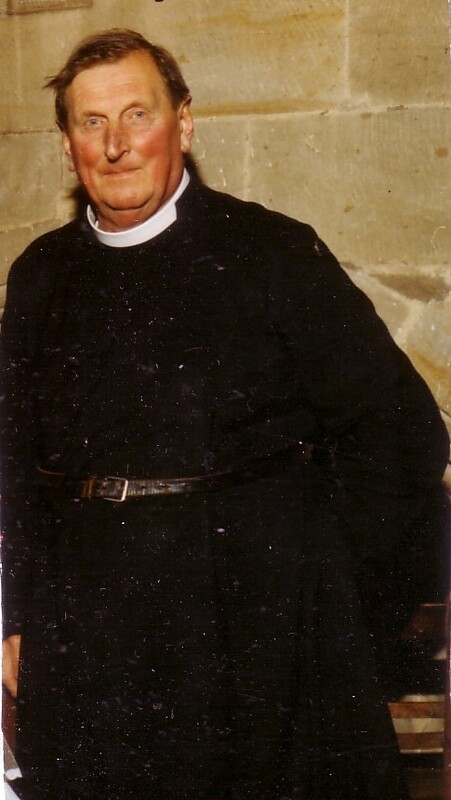 But once he invited them to his Vicarage, but after the Communion Service and meeting, about 20 clergymen were taken into the Dining Room where Captain Patrick Drury was there, as he had provided a sumptuous meal, which was served by his staff. All the clergy had to queue up in his study to telephone to their wives to cancel their lunch at home. We shall then discuss Mr. Barber's ministry in an historical context. We shall also relate what happened at St Werburgh's Church following Mr. Barber's retirement, and the extraordinary events of the next two years when the church authorities tried to close the club. We shall also ask the question what happened to the land that was given to the club by Captain Drury-Lowe? All this, and more will be discussed in this section!!!!! Thanks Ian - no thanks to Anon! - and thanks to Ian again. We are very grateful to Ian who submitted a fine tribute to the Vic on the St Werburgh's Wikipedia website. I was going to place a link to it here, but the tribute lasted exactly a week before being deleted by a person or persons unknown! Very strange! The Traditional Service of Holy Communion - and a warning from the Vicar! Available for download is part of the service of Holy Communion taken by the Vicar. The reaction to this upload was quite remarkable: many people sending messages to me expressing thanks for enabling them to listen, once again, to the old, time-hallowed, service, used at St Werburgh's, and - of course - to the Vicar's voice! Not only was this service used by Mr. Barber, but it was the universal use throughout the Anglican Church until modernists and people with 'strange' ideas took over the Church of England in the 1960's and 70's What would Mr. Barber have thought of all these and subsequent changes, I have been asked? Well,we know for certain that he would not have approved of them, but gone on quietly - and without argument - in the traditional way. Very rarely did he speak out in criticism, but when he did, his words were so powerful that we all took note. I think it appropriate in these times to quote from the Vicar's letter to the parishioners written in August 1977 - thirty-five years ago!
" I expect we who are in camp, will be attending the 8 o'clock service of Holy Communion at Sidmouth Parish Church. In previous years they have used the Series II and Series III [the modern services]. It has been interesting to hear the reactions of the older and younger boys I think it is true to say that the general opinion is that they all prefer the 1662 service which they are used to in our church. One of the arguments for using Series II or III is that it attracts the younger people. I know that it might be said that our boys are prejudiced by the fact that they are used to our service, but they agree that the new service lacks dignity. This is my own personal opinion. I cannot help feeling that the Church of England will eventually return to the Prayer Book Service.
" Recently we have read in the press, statements made by certain theologians on the Doctrine of the Divinity of Jesus Christ. I do not want to advertise these men but at the same time I feel that if they hold such views, they should openly renounce their connection with the Church of England. [...] I am very surprised that there has has not been a storm of protest from the Archbishops, Bishops, and theologians, demanding their resignation from the Church. Such statements as they have made have a devastative effect on the members of the Church, as well as outsiders. there are so many really sound theologians who believe in the true teaching of the Christian Church. These are the men we wish to listen to. " In subsequent years, the Vicar became more anxious over the future of the Church of England, especially over moves to ordain women to the priesthood. Shortly before he died he expressed the opinion that there would likely be a split in the church if such things came to pass. This has proved to have been the case.